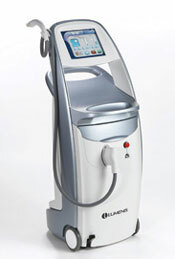 The Lumenis Aluma system is designed for fast, effective and pain-free skin rejuvenation and wrinkle reduction. It uses the exclusive FACES technology to provide exceptional results. If you are looking for a safe and affordable radio-frequency cosmetic system, then the Lumenis Aluma is definitely an option to consider. The Aluma is not actually a laser, but rather a RF skin renewal system that uses Lumenis’ exclusive FACES (Functional Aspiration Controlled Electrothermal Stimulation) to remove wrinkles with amazing speed. A typical treatment with the Aluma system takes just 15 minutes and this system is remarkably easy to use. It features intuitive touchscreen controls that will help your operator treat patients faster and more efficiently. It also has a vacuum-assisted handpiece that accurately focuses the RF energy for maximum results and maximum safety. This system is virtually pain-free and requires no anesthesia. 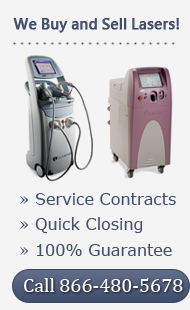 To get the best price on a Lumenis Aluma machine, contact us today. You can save up to 60% off retail by purchasing a pre-owned Lumenis Aluma instead of a new model. We sell only the best refurbished cosmetic machines that have been professionally reconditioned and tested. Plus we offer a full 100% satisfaction guarantee with every system we sell. UsedCosmetic.com has one of the largest inventories anywhere of aesthetic cosmetic equipment at the lowest prices. To get the best deal on a Lumenis Aluma radio-frequency system, simply fill out the contact form below and we’ll respond back with a low price quote. We would also be happy to answer any questions about this model.